Nearly one hundred deaths have been related to the heat this summer in Quebec, with more than 50 deaths being attributed to a heat wave that lasted nearly 10 days in July. After nearly 100 heat-related deaths in the province this summer, Quebec's public health institute is calling on the next provincial government to do something about urban heat islands. Such hot spots can be found in urban areas where there is a lot of cement and very few trees. In urban heat islands, solar radiation and hot air from vehicles and buildings get trapped between high-rises. There aren't enough trees to provide shade and evaporative cooling that can bring down temperatures. After a heat wave blanketed southern Quebec this summer, the institute says the province needs to invest one per cent of its budget into creating green spaces in cities. The institute is backed by 30 organizations, including Montreal and Quebec City. Dr. Pierre Gosselin, head of the institute's climate and health program, says the environment, quality of life and protecting public health need to be part of conversations about the economy. Gosselin said that now is the time for Quebec's government to make a change, calling the issue of heat islands "a major public health problem." 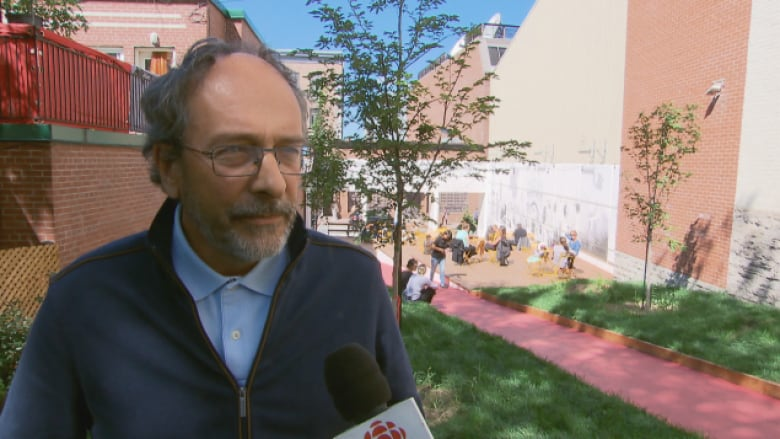 "Given that this summer has been​ very hot and the next decades are likely to bring more such summers, it's about time to be a little more serious, to invest much more in the greening of our cities," he told CBC. He said that there can be a difference of 10 degrees under the shade of a tree compared with an open sidewalk. "Strangely, in Quebec, there is this kind of acceptance of the fact that people die when there is a heat wave," he said. More than 50 deaths being attributed to the Montreal heat wave that lasted nearly 10 days in July. Many of those who died were older men with underlying health conditions who did not have air conditioning. According to the institute, a policy to follow through on the one-per-cent recommendation would cost about $170 million per year. With the election campaign underway, some of Quebec's major political parties say they are open to the idea. 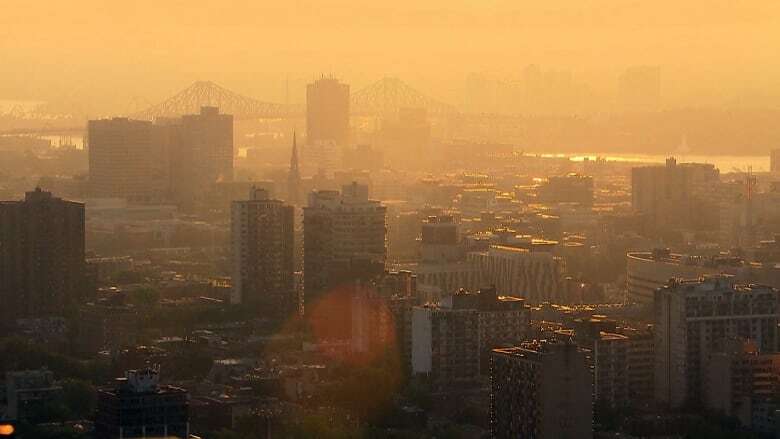 The Parti Québécois told Radio-Canada that they are open to taking measures to mitigate the effects of living in an urban heat island, but was hesitant to give a dollar figure just yet. "Promising one per cent of the budget in green infrastructure, it must be discussed with all stakeholders," said PQ candidate Normand Beauregard, who is running in the Louis-Hébert riding. Why aren't Quebec's political leaders talking more about climate change? Québec Solidaire was similarly amenable, with QS candidate in Jean-Lesage, Sol Zanetti, saying that such a policy would "very likely be adopted." The Liberals said they were already analyzing the issue of extreme heat and would be making an announcement relating to the issue during the campaign. Coalition Avenir Québec declined to comment.